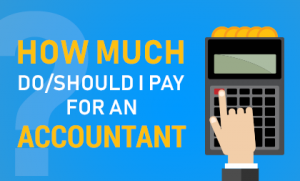 How much should I pay for an accountant? Here, Kim Marlor talks about how it’s a really smart move not to buy your accountancy services on price but on VALUE and what they are doing for you and your business! Remember buying cheap usually means you get what you pay for and that usually isn’t very much! If I had a pound for every time I hear a story about how a business owner has been let down, they may have received a fine from HMRC or Companies House. They may be feeling frustrated that they just can’t get hold of anyone. No one ever returns your calls. You don’t get any good advice to help you grow your business and you feel all alone with no professional business advsior to turns do. It doesn’t have to be this way …….. This entry was posted on Friday, December 29th, 2017 at 12:12 pm and is filed under Knowledge Centre. You can follow any responses to this entry through the RSS 2.0 feed. Both comments and pings are currently closed.